"The circles were there since yesterday morning. I think they were left by an alien space ship, like one I saw in TV," Krasakan resident Cahyo Utomo said Monday. "It is impossible that this was were made by the wind or any animal," he added. 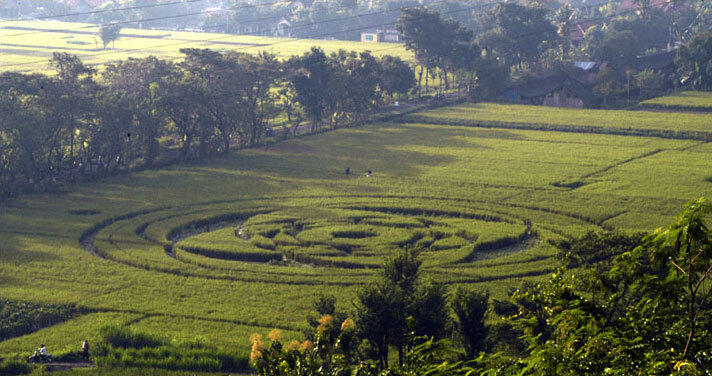 The circles and triangle in the rice paddy next to a residential area look resemble a geometric artwork, while the other parts of the field remain intact. 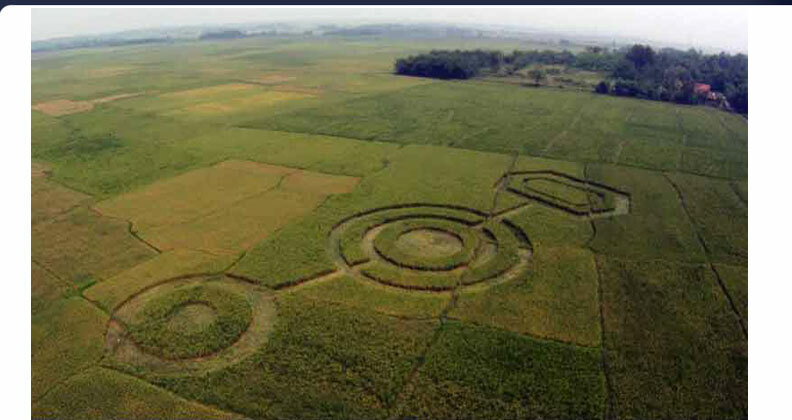 The crop circles were first reported by a farmer, Tukiman, on Sunday at 6am. 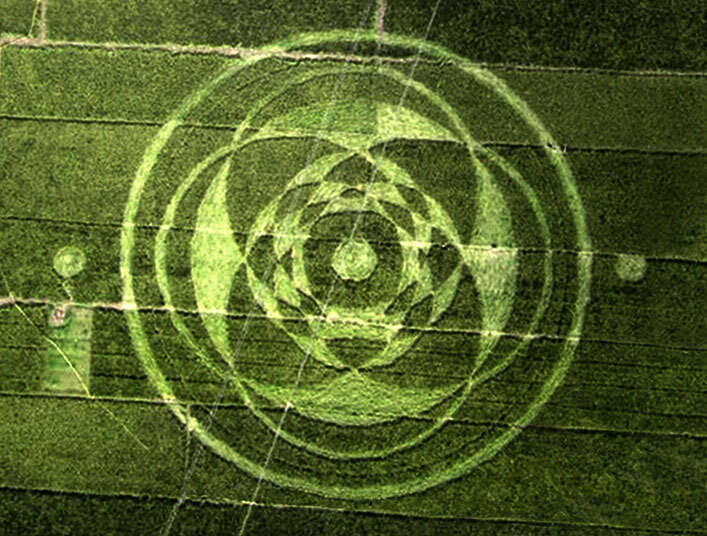 This first spectacular mandala crop formation discovered in the Yogyakarta area of Indonesia is also the first of the year 2011. The ultra-low frequency acoustic energy focused upon this region is also responsible for the nearby volcanic activity, recently involving eruptions of Mount Merapi in October-November of 2010, as well as the eruptions of other Indonesian volcanoes including Krakatoa, Sinabung and Karangetang in August of 2010. Mount Bromo has also recently resumed a phase of active eruption. Another comparable example of volcanic activity linked with intense infrasound resonance is well-documented in the case of Mount Etna and the nearby evacuated towns of Messina, Sicily. The same infrasound effects that caused the hundreds of electrical fires that required the complete evacuation of the two Messina towns will also be inundating the Yogyakrata region in the coming years, as clearly demonstrated by the increasing eruptive activity of mount Merapi, and the nearby unusual infrasound-induced events occurring in Pekanbaru, and Balongsari, Indonesia. 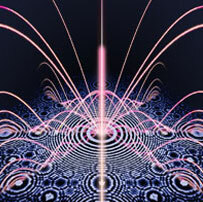 The advanced forms of collective consciousness that manifest in our reality as the plasma entities that create crop circles are restoring the mnemonic symbols of humanity -the sacred mandala of Vedic traditions- and stimulating a return to resonance with the natural energies of the Earth's akashic field. The great depth of knowledge of the ancient Vedic tradition has been revealed from hibernation in the Siberian forests, through the advanced ayurvedic teachings of Anastasia. The greatly increasing intensity of global infrasound resonance will culminate in the cosmic events of involving the magnetic reversal of the entire solar system on December 22, 2012. Intense infrasound radiations from significantly increasing solar activity becomes focussed upon Mount Merapi and the entire Yogyakarta region by the Orion pyramids of Giza, Egypt. [ zn+1 = zn2 modulus n ]. This same function is precisely encoded into the sacred Sanskrit mandala, and represented in monumental proportions in sacred architecture throughout the world. 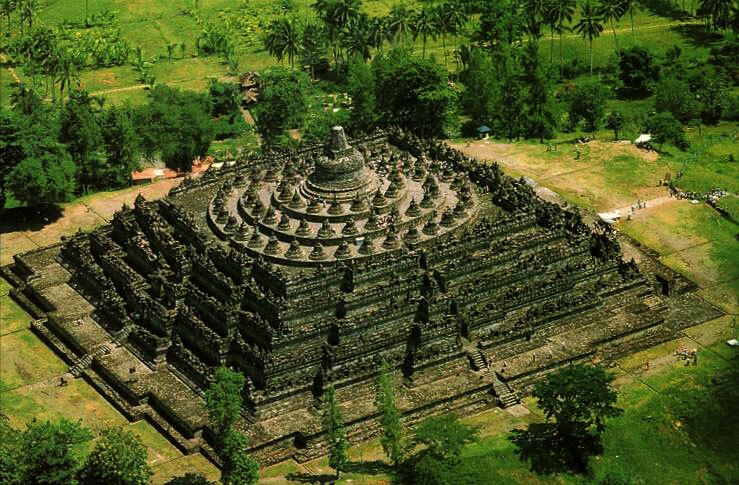 The many piezoelectric stone temples of the Buddhist tradition, like those of Borobudur, Indonesia (above), directly descend from a more ancient technological knowledge of spirit as expressed in Sanskrit culture. This resonant distance from the Giza pyramids also passes directly through the Virginia Beach, Virginia area of the US, where Edgar Cayce had conducted the great majority of his transcendental readings.